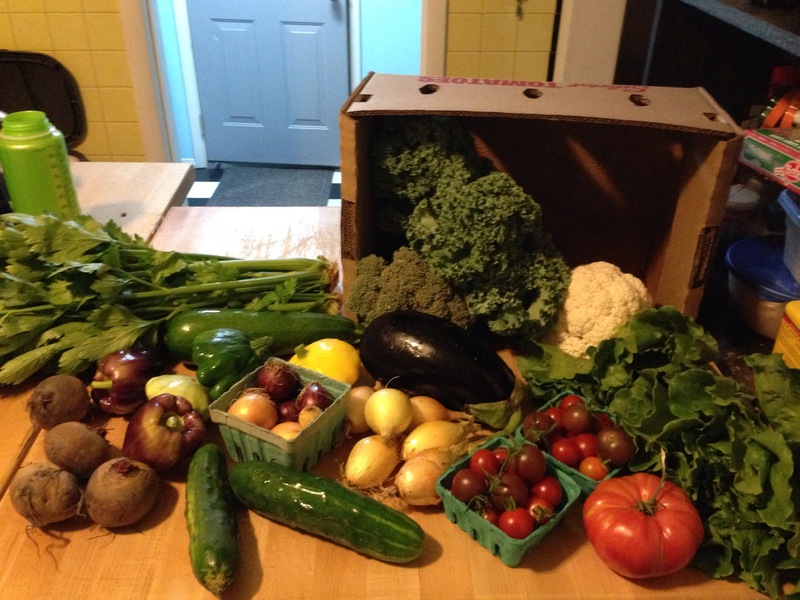 We had so much produce in our box this week that for about two minutes, I felt slightly panicked. Talk about getting our money’s worth! – zucchini and squash – It is time for the tried and true zucchini bread recipe. I tried a chocolate chip one and it was a huge fail. – celery – I immediately chopped it up and froze both the stalks and the leaves. Leaves for stock and flavoring, stalks for soups. – tomatoes – The cherry ones are now part of a caprese salad in my fridge. Yum! My FoodSaver bags will be hopefully arriving today, so I can process more veggies for our deep freeze. I bought a little handheld one off of Amazon and it works really well; I’ve noticed a difference in how everything freezes and thaws. On a completely different note – and unrelated to cooking – I have purchased a steam mop. All I can say is “wow…why did I wait so long to purchase one? !” I’m in love.